When I owned my previous company Distribution Central - a large VAD within the APAC region, we had roughly 30 vendors all wanting to send us (and other distributors globally), quotes for net new and renewal opportunities. Let’s explore each and their merits for the distributor partner. XML is by far the easiest and best way to integrate a vendor to a distributor as it removes human intervention subject to both sides having a system that can call an API. Once implemented, it is lightning fast and pain free for both parties, and it helps reduce the number of systems that staff must log onto or maintain. This requires human intervention possibly on both sides of the transaction. A vendor representative must create the quote and then export to .CSV for attachment to an email. The distributor representative then imports the quote in to their system. This is pretty straight forward, and if the distributor’s system is smart enough, any changes to the format of the .CSV file can be remapped without much effort. Where a vendor has typically an archaic system or are trying to control every aspect of the channel transaction, the distributor must resort to screen scraping to easily get information from the quote to their systems. The biggest issue with screen scraping is that if the vendor makes any updates to the output of the screen, the distributors’ system will fail, and will need to be reworked to run successfully again. 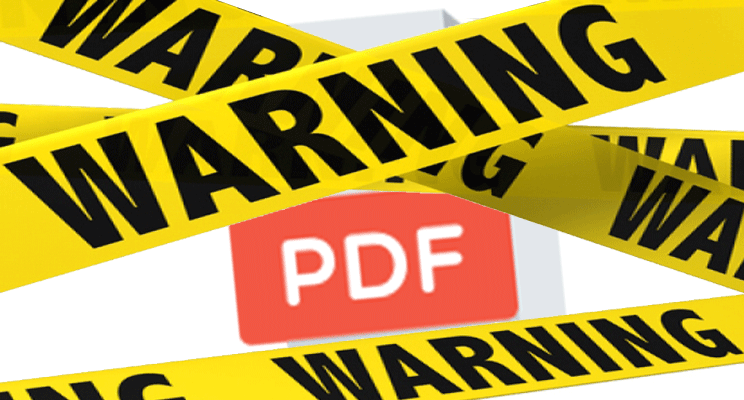 PDF files are typically used by the vendor because the quote is locked, and whilst PDF is fine for a legal document or at worst an end user quote, every channel partner has to deconstruct and ingest the information to their system, then check it’s correct (which it often isn’t at the first cut). As an example, there was one vendor in my previous life that refused to budge on PDF output. Today they waste countless hours of their own channel partners’ time, forcing them to cut and paste fields from PDF quotes. As a result, their partners lose valuable time which could instead be spent adding value or increasing customer satisfaction. Of course if the first cut is wrong, then they have to go through this mind numbing and laborious task again on the same quote! Add to this the increased likelihood of human error on these manual processes, and you end up with a productivity disaster on an epic scale that is happening every single day! And don’t forget dear reader, the number of quotes increases exponentially every year without the vendor contributing any more margin (see link to hell will freeze over here) to cover the poor souls who do this day in and day out! In conclusion, if you are truly a channel led vendor rather than a vendor with a channel (and you have made it this far through the blog), then I urge you to consider your channels operational excellence at least at the same level as you consider your own.